Funny socks for men usually feature funny looking cartoon characters or texts. They are suitable for adventurous guys and depict a playful personality. Most funny socks are usually in bright colors hence can be paired with shorts or ankle length pants. Wear these socks with casual shoes such as loafers and oxfords. 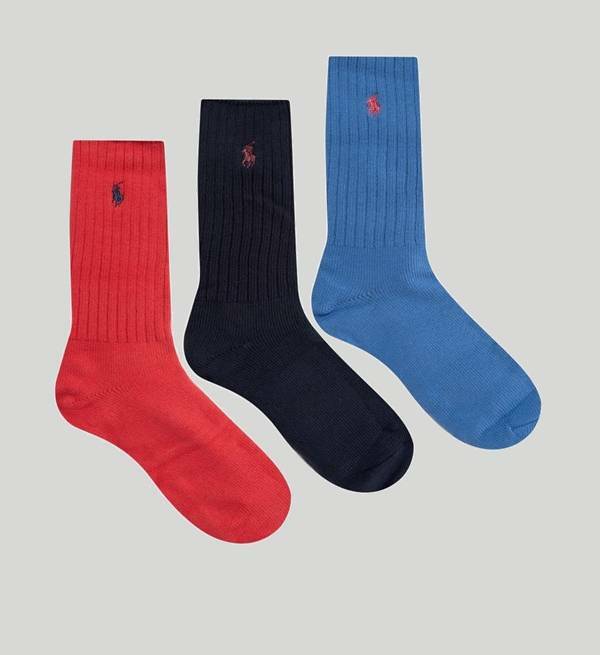 Whether in bright color or neutral, men’s designer striped socks add fun and can easily depict a unique fashion style. If you are worried about these socks clashing with your black shoes, then match them with the color of a pocket handkerchief or tie. Subtle stripes best suit bright colored shoes. 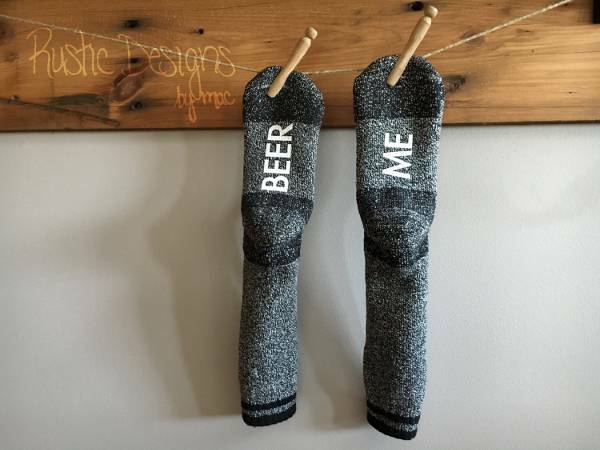 Men’s designer slipper socks come in a size that fit all feet sizes, don’t require any special cleaning instructions so you can even toss them with other clothes when doing your laundry and have a no-slip grip which prevents you from slipping. They are warmer compared to standard socks hence are perfect for winter. If you don’t know which socks to wear with your loafers, sneakers, trainers, and lace up oxfords then go for men’s ankle socks designs. Ankle socks in black color will complement any outfit color and even when wearing a tuxedo or suit during special occasions. They create the illusion of no socks so avoid exposing them. 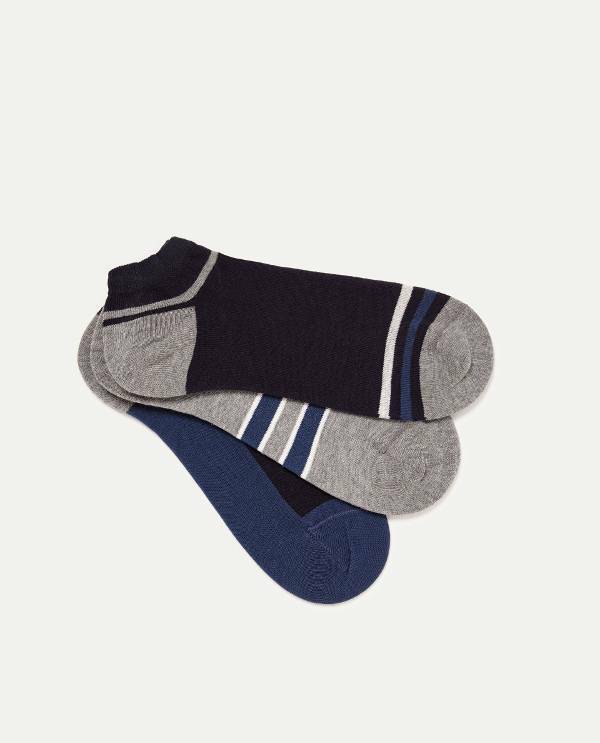 Men’s wool socks are meant to be worn during cold days because they feature a material that will insulate heat inside the shoes hence keep your feet warm. 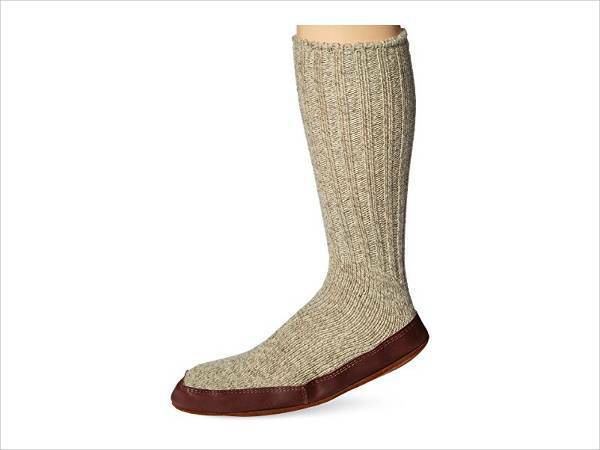 Wool socks are also breathable, and they absorb moisture when your feet sweat. Wear them with military boots. 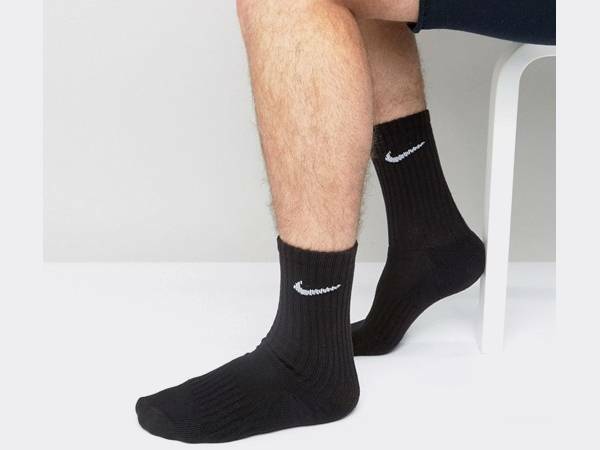 From white gym socks to thin running socks, sports socks for men have a special construction that will help you perform your game effectively. They have embedded arch that ensures proper blood circulation even when the feet are under pressure; they also incorporate sole cushion which acts as a shock absorber. Men’s loafer socks designs are popularly known as no show socks are usually smaller than ankle socks and usually, hide inside the shoes. They are made using lightweight and breathable material making these socks ideal for summer. 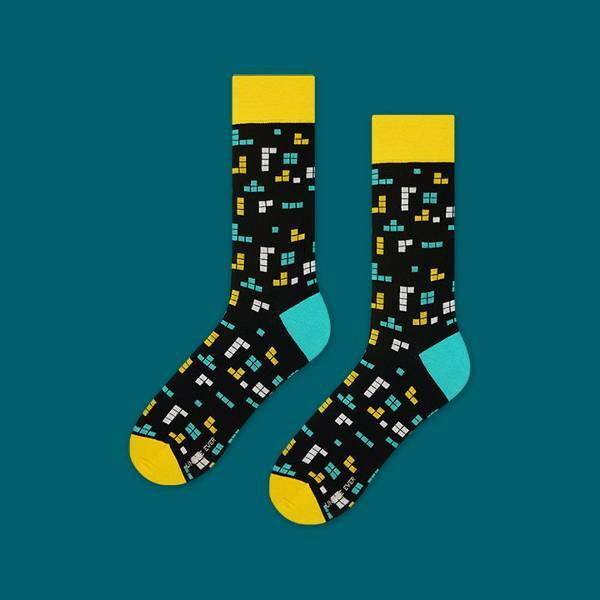 Whether striped or polka dots, these socks are meant to be discreet. The best way to add color to your shoes is to pair with colorful designer socks. Guys with a daring attitude or risk takers can pair bright colored socks with vibrant casual shoes. Men who prefer subtle socks yet want a bit of color should opt for those which incorporate two contrasting colors. 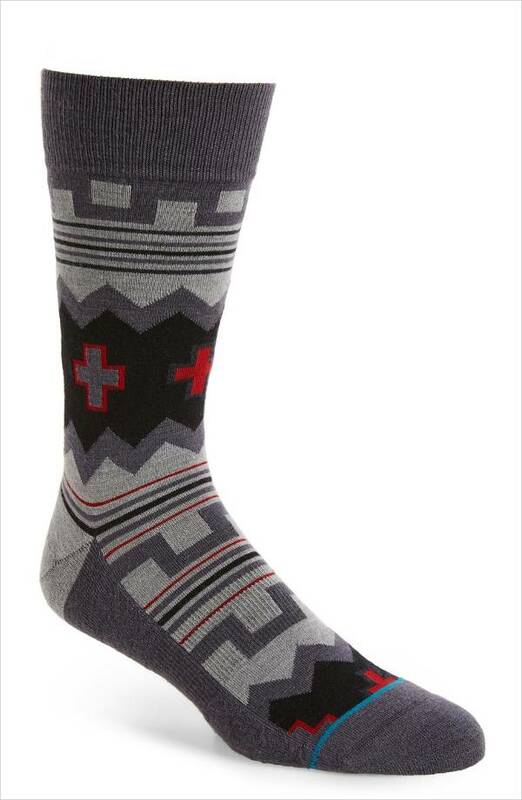 Men’s Patterned socks are easy to style and can even depict your personality. They are chic and versatile enough to complement a suit. To draw attention towards these socks then ensure your outfit is simple. When styling these socks then match them with pocket square or color of your pants or jacket. Socks are a staple in men’s wardrobe. Those in neutral colors match any outfit. Even though men tend to wear colorful or bold socks during summer, most of them are wearing these designs with confidence with a suit. Men who prefer not to wear socks can ensure their shoes remain durable by opting to wear sheer or invisible socks with loafers and boat shoes. When you wear socks, you keep your feet warm and safe from infections. Sometimes it is easy to ignore socks when dressing up and we often pick the ones that look comfortable. However, with many benefits of socks such as enabling you to make a bold statement and their versatile nature, it is crucial for men to have different types and lengths of socks to complement various shoes.